Somewhere between the hipster melamine cake platter and the French Bull tableware, your guests know that they're not dealing with the average chip 'n dip tupperware party planner. 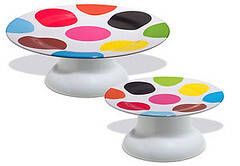 Show your guests what a trendy hipster you are with a little help from your friends at Plum Party. From 70's-era grooviness to contemporary charm, Plum Party makes planning for your next bash easy and affordable. Looking to host a little Spring soiree? Start planning and click here for fun party tips + ideas. I love the "movie awards show" party tips. Sounds like fun! 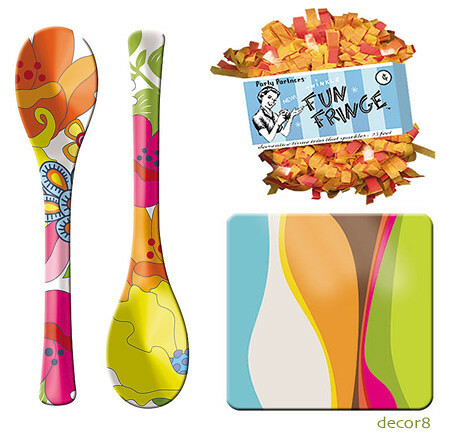 melamine grace salad servers set of 2 for $15, gold, orange and red twinkle fun fringe 25 feet for $5.50, kiss coasters set of 4 on sale for $10.50. 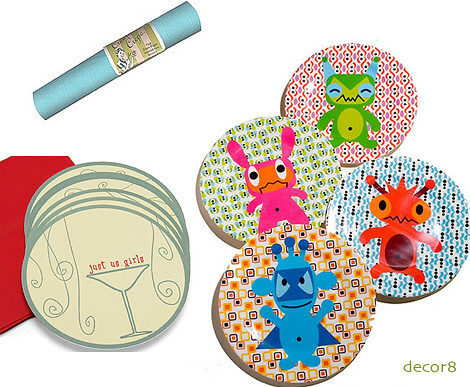 crepe paper in robin's egg blue $4.75 per roll, just us girls coaster invitations set of 6 for $15, melamine monster plates set of 4 only $29. 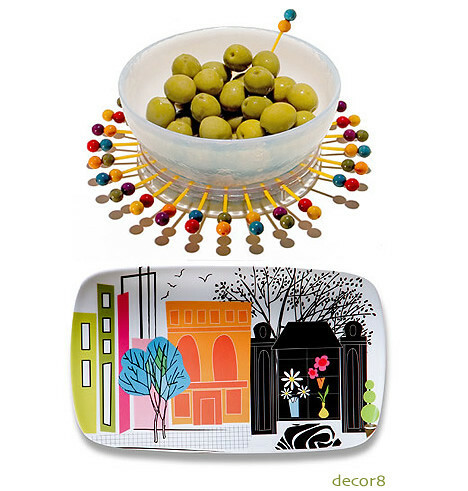 retro dark disposable picks 30 for $10, french bull scene party platter priced right at $18. Super Fresh Find: Brent Myers takes on quilting!